Liverpool entertained Watford at Anfield earlier tonight hoping to keep their place at the top of the Premier League standings. The Reds started the match on the front foot and took the lead in the 9th minute courtesy of Sadio Mane’s goal. The Senegalese winger doubled his team’s advantage in the 20th minute when he scored with an audacious back heel. The Hornets created a couple of great opportunities on the counter but failed to hit the target in the first half. The second half was more of the same with the Reds running riot in the Watford half. Jurgen Klopp’s men scored three more goals with two headers from Virgil Van Dijk and a tidy finish from Divock Origi. The match ended 5-0 in favour of the Merseyside giants as they retained the top spot in the league standings. Let’s take a look at how each Liverpool player performed during the match against the Hornets. The Brazilian keeper made a couple of good saves during the match to earn another clean sheet at home. Some of his crosses were of the highest quality! The young defender was dangerous on the ball and got three assists to show for his efforts. The Cameroonian centre-back kept his cool in high-pressure situations to earn a well-deserved shut-out at the back. The Dutch defender organised his defence well and scored with two clinical headers in the second half. The Scottish full-back was always looking to link up with Origi and Mane down the left flank. He delivered a few excellent crosses during the contest and managed to secure two assists on the night. The Dutchman worked his socks off in midfield and retained possession well under pressure. The Brazilian midfielder sat back and did the dirty defensive work in midfield. He broke down numerous Watford attacks to cap off an exceptional performance at Anfield. The English veteran led the Liverpool pressing and put the visitors under a lot of pressure. His work ethic and commitment to winning the ball back gave his team an edge in midfield. The Egyptian was unfortunate not to find the back of the net tonight. However, to his credit, he did hit the post and was a constant menace for the Watford defenders. The Belgian speedster was full of running and took up some dangerous positions in and around the Hornets penalty area. He did well to register his name on the scoresheet in the second half when he picked his spot with a low drive to deceive Ben Foster in the Watford goal. The Senegalese winger scored two crucial goals in the first half which made the points secure for the home team. His second goal was a thing of beauty! The Liverpool captain came off the bench to provide some fresh energy in midfield. 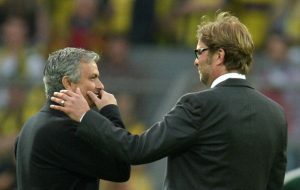 The English playmaker linked up play well in the opposition half but lacked the end product in the final third. Manchester City Want Manchester United Stalwart: A Rumour To Fill Up The Pages? 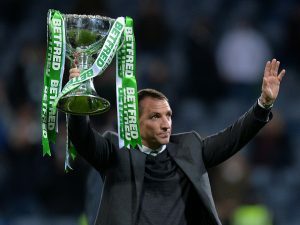 Celtic Mastermind Plays Down Arsenal Rumours: Great News For Celtic Fans In Continuing Their Legacy! 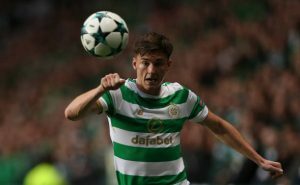 Manchester United Reignite Interest In 21 Y/O Celtic Ace After Everton’s Withdrawal: Right Fit For Mourinho?